· Seven miles of trail are under construction &#8211 six miles between Newark and Lyons and one mile in the City of Little Falls &#8211 with completion slated for 2013. 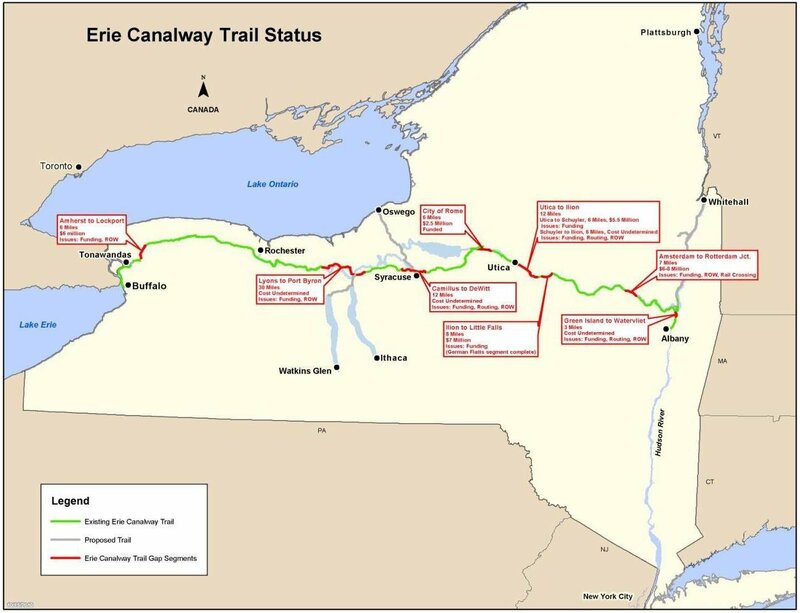 · The eight-mile Amherst to Lockport project will go out to bid in 2013, closing one of the six key gaps in the Erie Canalway Trail system. When combined with the work underway between Newark and Lyons in Wayne County, the project will create more than 134 continuous miles of trail between the City of Buffalo in Erie County and the Village of Lyons in Wayne County. · The Syracuse Metropolitan Transportation Council has begun to define a short- and long-term route for the trail through the City of Syracuse with the first priority being the creation of a temporary on-road, signed route that would accommodate pedestrians and touring cyclists. · Members of Governor Cuomo’s Cabinet and Executive Staff as “Team New York” cycled the Erie Canalway Trail from Buffalo to Albany as part of PTNY’s 14th annual eight-day Cycling the Erie Canal event to better understand the trail’s potential for economic development. “We are encouraged by the accomplishments in 2012 and the trail construction work scheduled to begin in 2013. 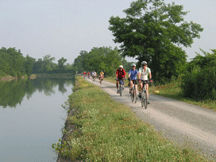 Especially inspiring is the heightened awareness among community leaders of the tourism and economic benefits derived from the Erie Canalway Trail. However, reduced federal funding from MAP-21 and continuing economic stresses on localities increase the challenges of Closing the Gaps,” said Nelson Ronsvalle, CTANY president. 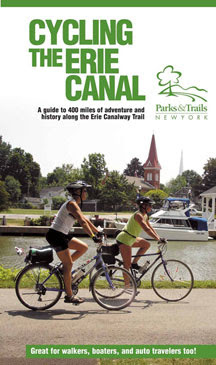 Closing the Gaps: A Progress Report on the Erie Canalway Trail 2012 is available on the Parks &amp- Trails New York website via pdf.